Website design manufacturing companies Chesapeake VA | EMC features advanced tabbed navigation that is synced to large photo sliders. The website also features strong call-to-action messaging throughout the website. The website is designed in open-source HTML coding. 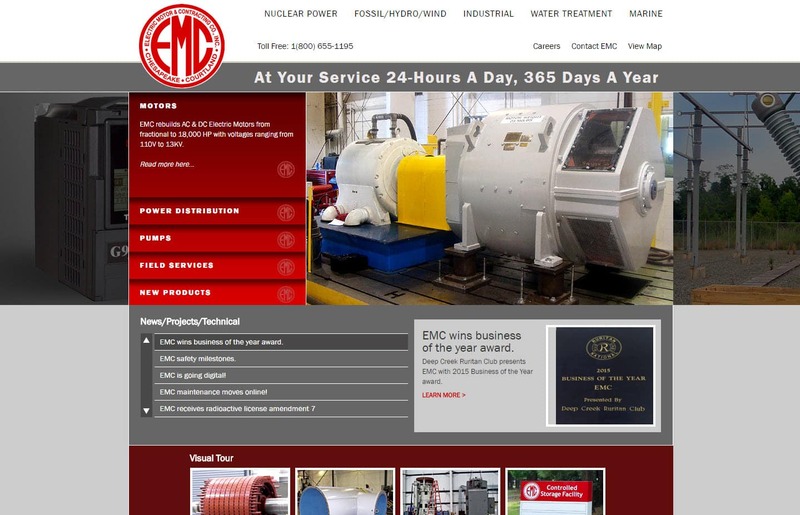 Electric Motor Company Corporation has offices and facilities located in Chesapeake, VA. When searching Web design company Chesapeake VA look no further than the web design experts at VISIONEFX.